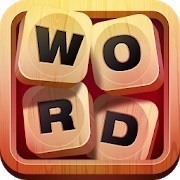 Here we have all Words Game Answers (Full name: Words Game – Cross Filling). With these solutions you can create every word you need to finish your level. If you don’t want to be stuck at your puzzle then get the answers here. If the words you need are not compatible with your level, then enter the letters you have here. We will give you every possible solution so you can still finish the game.